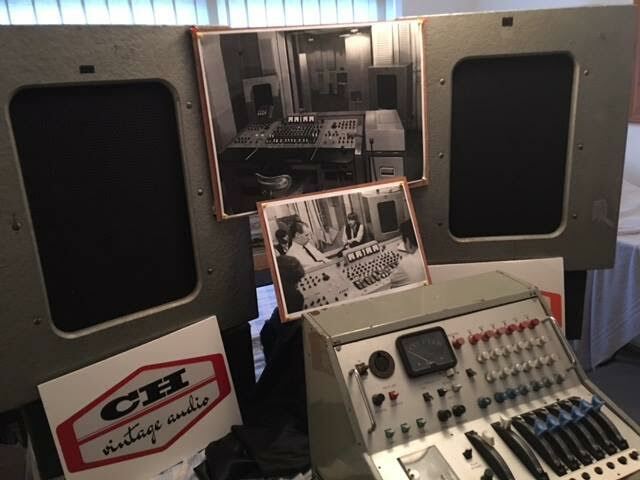 Probably one of the most important finds in Rock Music History and now arrived at the Chris Hewitt Museum of Rock/CH Vintage Audio, the Altec monitors from Abbey Road Studio 2 Control Room. Just think, almost all The Beatles tracks, as well as a multitude of top 60’s artists, were mixed on these monitors and they still sound absolutely fantastic! They were built in the late 1950’s/early 1960’s. We’ve just played some Beatles tracks through them and they sound amazing – I have an EMI desk with quadrant faders from a similar period to the the Studio 2 desk in the Abbey Road pictures, just a bit smaller. We hope to get these EMI/Abbey Road items into some exhibitions in due course.